Legacy Way (formerly Northern Link) is a toll road tunnel, approximately five kilometers in length, which links the Western Freeway, at Toowong, to the Inner City Bypass, at Kelvin Grove. 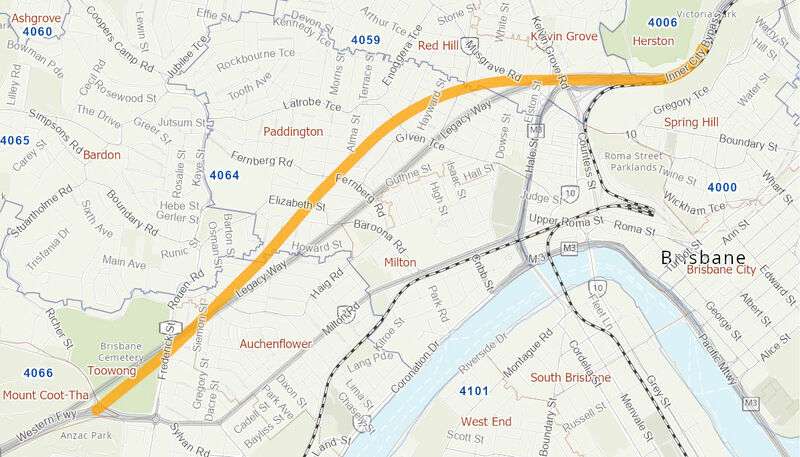 The tunnel runs under the suburbs of Toowong, Auchenflower, Paddington, Red Hill, Spring Hill and Kelvin Grove. The project was managed by the Brisbane City Council. The tunnel will ease traffic congestion, reduce travel times and improve the safety and efficiency of the urban link. The Australian Government provided $500 million to the project with Brisbane City Council providing the remainder. Construction commenced in January 2011 and was completed in June 2015.